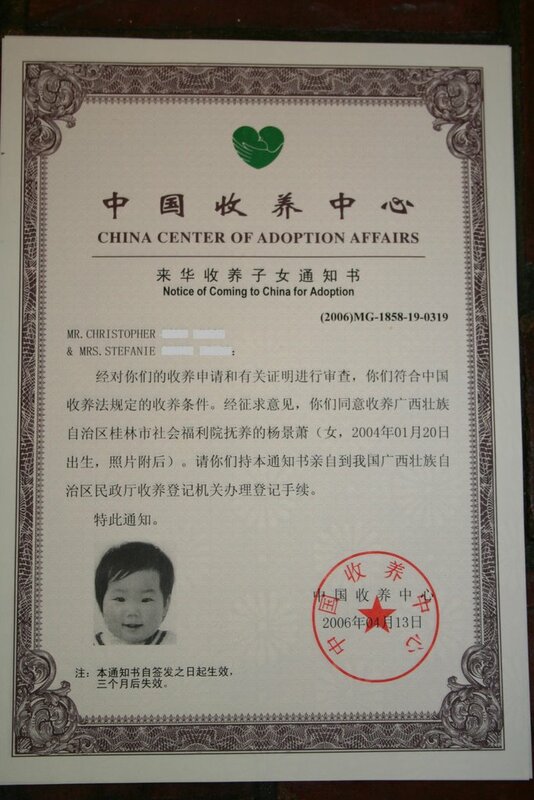 The most coveted of documents in the world of adoption, the “Notice of Coming to China for Adoption”, also known as Travel Approval. 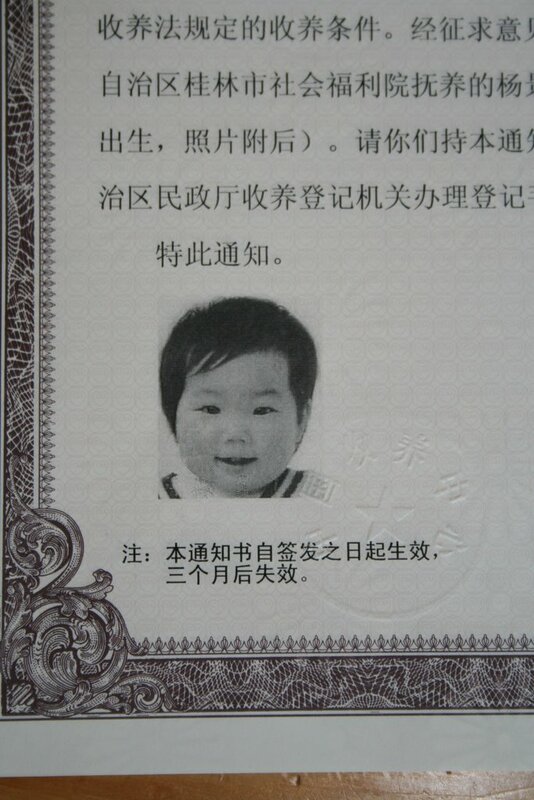 Ours arrived, unexpectedly, from our agency yesterday. Just a piece of paper, but more meaningful than words can express. And it even has Sophie’s sweet face in the corner. I don’t understand anything it says except our names, but I know what it means! We’re coming for you, Sophie!! That looks so cool!!!!! Don’t you wish you could frame it? Yay, God! Sophie is a-coming home!!! !